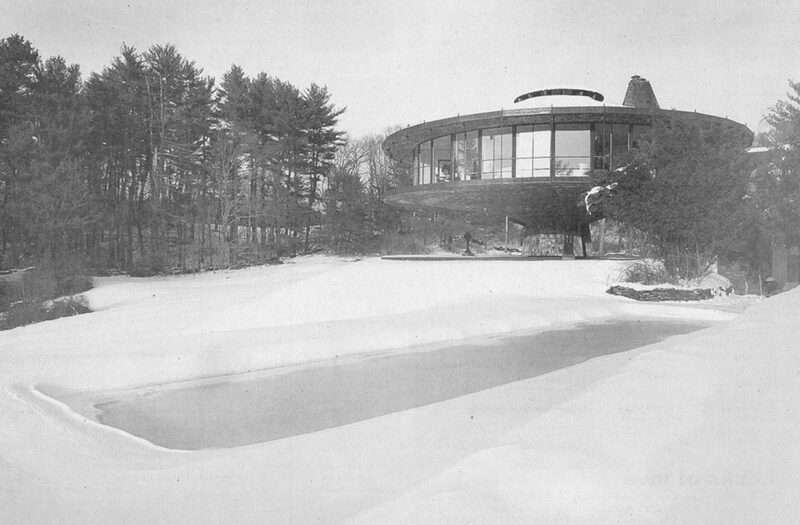 Wilton – For just the second time since it was built in 1968, The Round House on Olmstead Hill Road in Wilton is for sale. “The pleasure of living in a home that turns is difficult to describe to one who has never had that opportunity. There were many surprises for us to absorb and some to overcome,” architect Richard T. Foster wrote about the revolving home he built and designed on 3.83 acres. Nancy G. Noonan, co-listing agent, with Joan Madden, at Coldwell Banker Previews International in New Canaan, said the home is listed for $2,575,000. 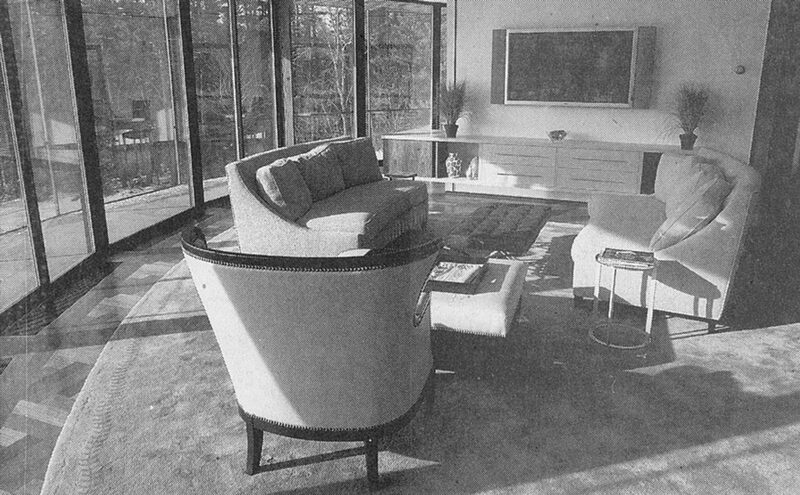 Foster collaborated on many projects with renowned architect Phillip Johnson. “A round house was no departure for Mr. Foster, whose buildings with Mr. Johnson were full of curves at a time when many architects thought at right angles,” The New York Times wrote in his 2002 obituary. Foster’s family was the client for his most inventive work: The house that revolves on ball bearings around a stair core. “We press buttons when we want to change the view,” explained Foster. Notes on technical information reveal the inventive designs for each mechanical system in the house. Because the house needs strong connections within the structure, the engineers used steel. Zoldos & Meagher, Emerson of New Jersey were the structural engineers and Meyer, Strong & Jones of New York were the mechanical engineers. Because of a unique treatment of the waste lines, the plumbing fixtures are located in the moving portion. The heating system uses forced hot water, oil fueled, with fintube radiation located in the floor underneath the windows. The electric system is supplied by a feed-rail bus system. A “trolley” section carries current to the building via the bus: Water is accessed via a 360-degree commercially produced valve. Fuel oil is delivered by truck hose to the top of the structure where it is pumped into the core storage tank. Reflecting on The Round House experience, Foster wrote, “The very configuration of the house has given us advantages we never contemplated. First, the house sits high, relative to the surrounding landscape. We find that animals such as deer, fox and rabbits don’t seem to look up. They will graze through the field as though we don’t exist, even though we’re sitting on the deck carrying on conversations in a normal way. Upgraded in 2005, The Round House includes an inground pool with pool house and a studio. The remodeled kitchen features an island work station, cooktop, dishwasher, microwave, wall oven, refrigerator, washer and dryer. There are nine rooms, three bedrooms and two full baths. The master bedroom has a dressing room with a full bath and balcony. A fireplace is the internal focal point of the living room. The house also features an upgraded security system and detached parking. One of the most distinctive houses ever built, Foster and his family lived in The Round House for more than 25 years.